Our direct Cebu Pacific (5J-5054) flight to Tokyo left Manila’s NAIA Terminal 3 by 6:15 AM and our flight took us nearly four-and-a-half hours. We had a pre-ordered breakfast on board our plane. Our plane landed at Narita International Airport by 11:30 AM (Tokyo time which is one hour ahead of Manila). After gathering our luggage and passing through Airport Immigration, Cheska booked all of us on an Airport Limousine Bus that would bring us, from the airport, to Akasaka Excel Hotel Tokyu which was near the hotel we were to stay in for four nights – Centurion Classic Akasaka. Fare was ￥3,100 per adult (￥15,500 total for me, Grace, Jandy, Cheska and Bryan) and ￥1,550 for my 6 year old grandson Kyle. 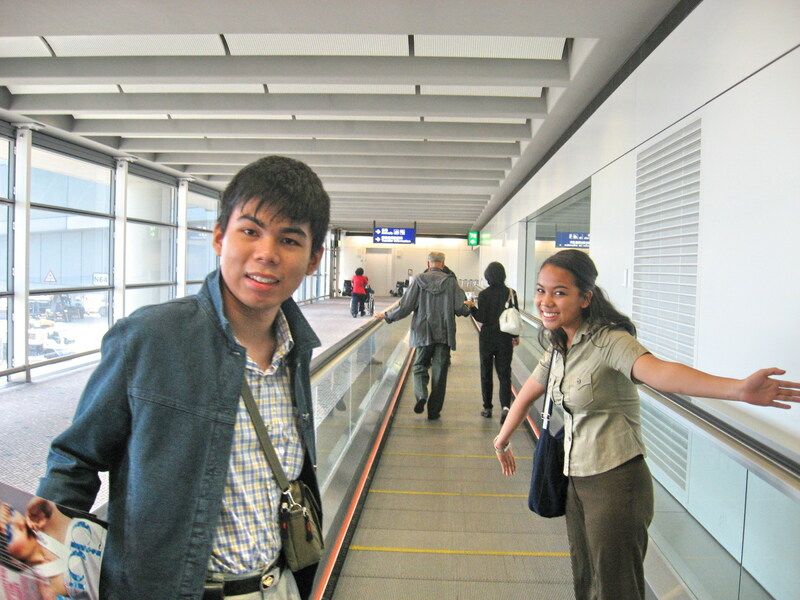 We could have taken the Metro and save more than half what we paid, but we decided against it as we were traveling with heavy and bulky luggage. Taking the taxi or Uber would have been more expensive as we would have to board two vehicles. Our airconditioned limousine bus soon arrived and, after our luggage was loaded, we took our seats inside the bus which left promptly at 1:30 PM. Normally, travel time from Narita International Airport to Asakasa (59.7 kms. away) takes just a little over an hour but our bus trip took 30 mins. longer as the bus made a number of stops to drop off passengers at different hotels. We arrived at the Akasaka Excel Hotel by 3 PM and made the short 5-min. walk to our hotel. After checking in at our 5th floor room (Room 509) and freshening up abit, we again went down to the hotel lobby and walked to a nearby 7-11 convenient store where we bought packed lunches, sandwiches and 1-liter bottled water. That done, we gain walked back to our hotel and had our first meal in Tokyo in the airconditioned comfort of our room. Centurion Classic Asakasa: 107-0052 Tokyo Prefecture, Minato-ku Akasaka 3-11-8, Japan. Tel: 1-866-599-6674. Incheon International Airport (IIA) (IATA: ICN, ICAO: RKSI), sometimes referred to as Seoul–Incheon International Airport, is the largest airport in South Korea. Located west of Incheon‘s city center, the airport is located on an artificially created piece of land between Yeongjong and Yongyu Islands. Originally separated by shallow sea, the area between the two islands was reclaimed for the construction project, effectively connecting the two islands. The reclaimed area. as well as the two islands, are all part of Jung-gu, an administrative district of Incheon. The airport opened for business on March 29, 2001, replacing the older Gimpo International Airport which now serves mostly domestic destinations plus shuttle flights to alternate airports in several East Asian metropolitan areas including Tokyo and Osaka, both in Japan; Beijing and Shanghai, both in China; and Taipei in Taiwan. Incheon International Airport’s terminal has 111 boarding gates altogether, with 44 in Terminal 1, 30 in Concourse A (connected to terminal 1), and 37 in Terminal 2. The airport serves as a hub for international civilian air transportation and cargo traffic in East Asia. Located 48 kms (30 mi.) west of Seoul, the capital and the largest city of South Korea, Incheon International Airport is the primary airport serving the Seoul Capital Area. The airport is the main hub for Korean Air, Asiana Airlines, Jeju Air, and Polar Air Cargo. In 2016, the Incheon International Airport was the fifth busiest airport in the world and third in Asia by cargo traffic, and 19th in the world and eighth in Asia by passenger traffic. In 2017, the airport improved to being the world’s fourth busiest airport by cargo traffic (and still third in Asia). It remained the world’s 19th busiest airport by passenger traffic (but dropped to ninth in Asia). In 2016, the airport served a total of 57,849,814 passengers. In 2017, it increased its total to 62,082,032 passengers. It is ranked among the fastest airports in the world for customs processing. It is claimed, by airport authorities, that average departure and arrival takes 19 minutes and 12 minutes, respectively, as compared to worldwide average of 60 minutes and 45 minutes, respectively. It is one of the largest and busiest airports in the world. In 2012, in the World Airport Survey results published by Skytrax, it was ranked as the world’s best international transit airport. Incheon International Airport claims that it has only a 0.0001% baggage mishandling rate. For 11 consecutive years, from 2005 to 2016, the airport held the record of being ranked the Best Airport Worldwide by the Airports Council International(ACI)’s Airport Service Quality Award. Since 2012, due to the Airports Council International(ACI)’s decision to discontinue the Best Airport Worldwide category, it has also been rated the world’s best among airports of its size (25–40 million passengers) and region (Asia-Pacific). In January 2007, it won the GT Tested Award for Best Airport in the World. In January 2008, it was named by Global Traveler (GT) as the Best Airport in the World for the second straight year. In 2013, Business Traveller rated its duty-free shopping mall as the world’s best for three years in a row. The airport has a golf course, spa, private sleeping rooms, an ice skating rink, a casino, indoor gardens, and a Museum of Korean Culture. Grace, Jandy, Cheska and I decided to attend the 2010 Locsin Reunion in Silay City, the first for all of us. Jandy, Cheska and I took the morning Cebu Pacific Air flight while Grace would follow in the afternoon. 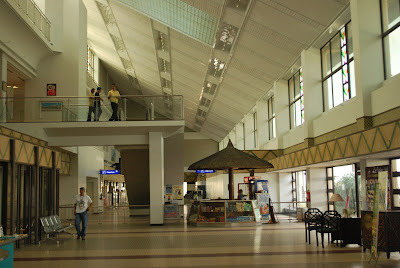 Before 2007, flights to Bacolod City arrived at the old Domestic Airport. 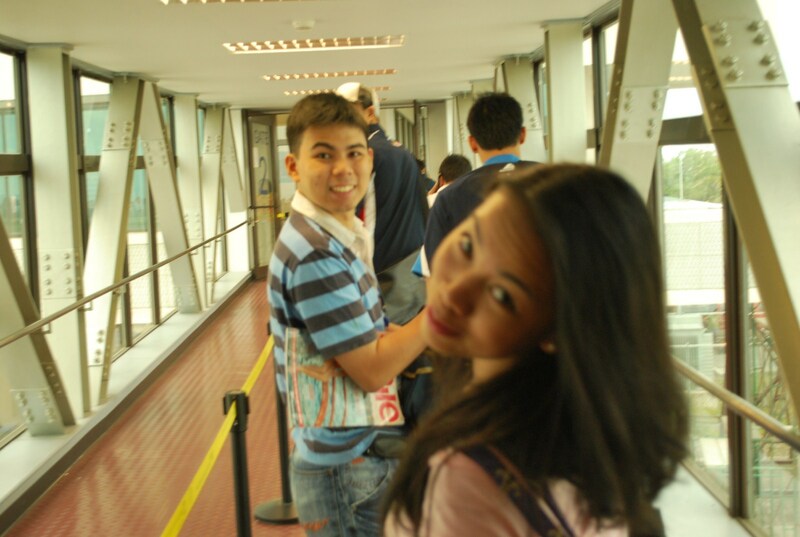 Not anymore as we arrived via the new Bacolod-Silay International Airport, now the primary gateway to Negros Island. 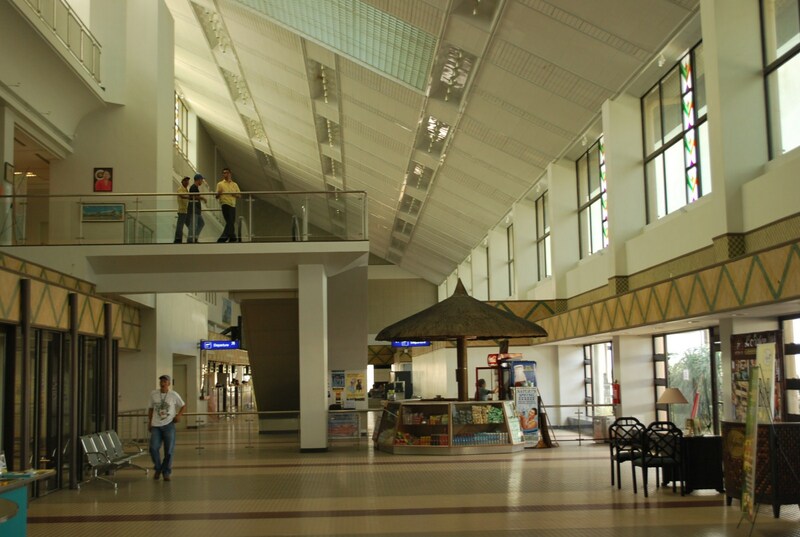 The airport, built by Japanese firm Takenaka-Itochu Joint Venture at a cost of PhP4.3 billion, was started on August 2004 and completed on July 16, 2007. On September 26, 2007, a small, 14-seater Reims-Cessna F406, piloted by Steve Gray of New Zealand, landed at the airport, the first aircraft to do so. On January 18, 2008, the airport officially opened and started operations and, that same day, a Cebu Pacific Air Airbus A319-100 (Flight 5j-473), piloted by Silaynon native Capt. Allan Garces, landed at the airport, the first commercial flight to arrive. The first international flight to arrive was a chartered plane from Kazahkstan which landed on January 2 the following year. Bacolod-Silay International Airport: Brgy. Bagtic, Silay City 6116, Negros Occidental. Summer was nearing its end and classes about to begin and we didn’t want to end it without a family vacation. We decided on Hong Kong, a first for my children Jandy and Cheska. My in-laws, who just celebrated their golden wedding anniversary last May 25, was also joining us. So too with my brother-in-law Mark, his wife Nenette and their children Miguel and Matthew, 10 in all. We all departed Manila’s old NAIA I Terminal on the 6:30 AM (CX-905) Cathay Pacific flight, arriving at Chek Lap Kok International Airport by 8:30 AM. After transferring to the Terminal 2 Building via MTR Airport Express, we were met by our guide Anthony from Ann Travel Agency. The 37-km. shuttle trip from the airport to the city took all of 45 mins.. We arrived at Kimberley Hotel by 10 AM. It was now our last day in Singapore and the start of the second and final leg of 8-day tour – our first visit to Bangkok in Thailand. After breakfast, I still had some time on my hand, so I visited the iconic Raffles Hotel and the nearby Singapore War Memorial. Then I visited my UP College of Architecture friends Oliver “Papot” Venegas and Philip Carrillo at their DP Architects PTE office at the Golden Mile Complex along Beach Road before returning to the hotel. We all checked out of Cockpit Hotel before noon and were shuttled by van to Changi International Airport were we to take a Singapore Airlines (SQ-0066) flight to Bangkok. By 12:30 PM, we all on board our plane. The flight took one and a half hours. Upon arrival at Bangkok’s Don Muang International Airport (one of the world’s oldest international airports and Asia’s oldest operating airport), we were picked up by our Goodwind Tours representative and were brought to 13-storey Rajah Hotel, arriving there by 3:30 PM. Come evening, we had supper at the Ambassador Hotel. Rajah Hotel: 18 Soi Sukhumvit 2 and Sukhumvit Soi 4 (Soi Nana), Sukhumvit Rd., Khwaeng Khlong Toei, Bangkok 10110, Thailand. Tel: 02-2550040 to 55. Fax: 02-2557160.